Phoenix karate instructors Sensei Jason and Sensei Shivona Deepchund encourage members of the community to participate in karate classes. The brother and sister duo, who are affiliated to SKISA and Karate South Africa, have been doing karate since the tender ages of six and seven. The sensei’s expressed that karate has been an important part of their lives and has no limits. They have competed in many tournaments both locally and abroad, and achieved gold medals for their efforts. A major highlight in their lives was when they received their Protea colours and represented South Africa. 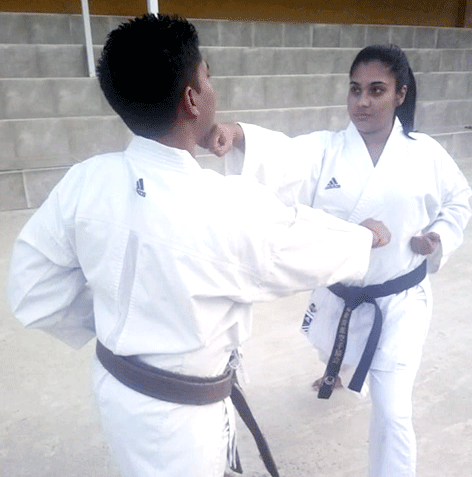 Apart from their busy training schedules, the pair successfully run the Palmview Karate Club and La Lucia Karate Club. “Our focus is to keep kids of the streets and to instil discipline through our classes. We focus on traditional and sports karate, fitness and self defence. Through our dedicated teaching our clubs have produced many Proteas,” said Sensei Shivona. Sensei Jason and Sensei Shivona will be attending their firth and forth Dan gradings under master, Shihan Murakami in April 2019.